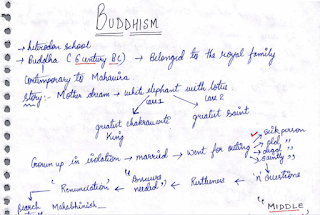 Download High Quality Hand Written Notes on Buddhism and Samkhya. Buddhism and Samkhya Notes by Mitras IAS Download: These Notes are useful in every exam as in every exam in which GS or GA subject included, at least one question is taken from Buddhism. From that point of view, these notes will be very helpful for the aspirants. Aspirants can download these Notes from the link given below.